With more than 550 of Falcon’s 2000 series aircraft in service today, the 2000LXS tops the category as one of the most successful Falcons ever. This fuel efficient jet replaced the 2000LX in 2013 and features improved runway performance and outstanding cabin comfort. The Falcon 2000LXS is a wide body aircraft with 18 windows. The cabin is over 26 feet long, almost 8 feet wide, and 6 feet 2 inches high. At a total cabin volume of 1,024 cubic feet, there is comfortable seating for up to 10 passengers. Standard interior cabin configuration features a single club section and double club section alongside two single executive style seats. Perfect for conference grouping, this cabin enhances work efficiency and productivity. Customers of the 2000LXS can detail the interior of their choice and even choose to have a double bed placed over the double club section seats. 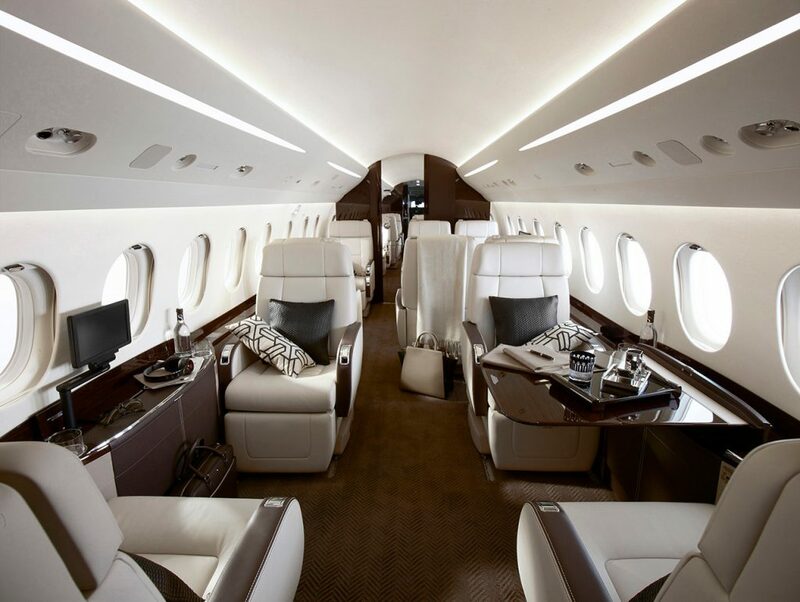 The luxurious cabin features a state of the art entertainment system. Two DVD players, personal widescreen displays, and seamless connection ports for iPhones, iPads, and iPods are all included. Using their Apple products, passengers can have complete control of the entertainment system and can adjust cabin lighting from their seats. 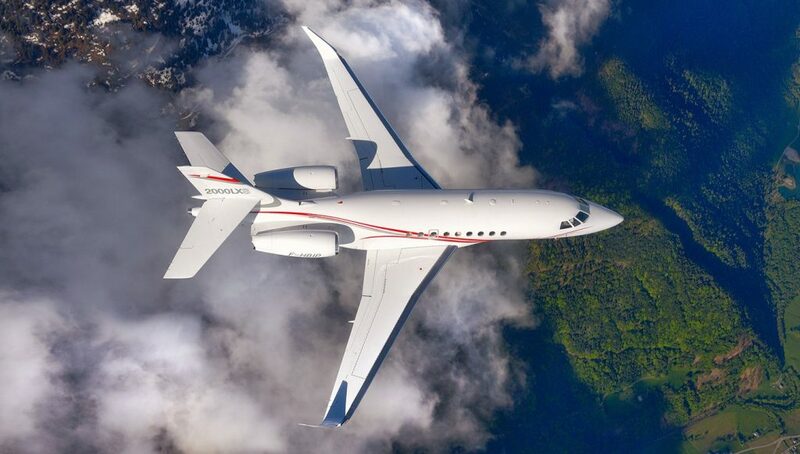 The Falcon 2000LXS has a range of 4,000nm and maximum cruise speed of Mach 0.862. As the newest jet in the 2000 family, this aircraft has improved payload and impressive airport performance. The 2000LXS can access more challenging airports and runways than other jet in its category. High-mach blended winglets help to enhance capabilities when approaching and landing. Two P&WC 308C engines power the aircraft and are mounted on the side of the rear fuselage. Within the flight deck, the EASy II avionics suite helps pilots stay organized and increases efficiency. With the added feature of an autobrake system, the twin jet aircraft can easily deliver favorable performance on short runways. 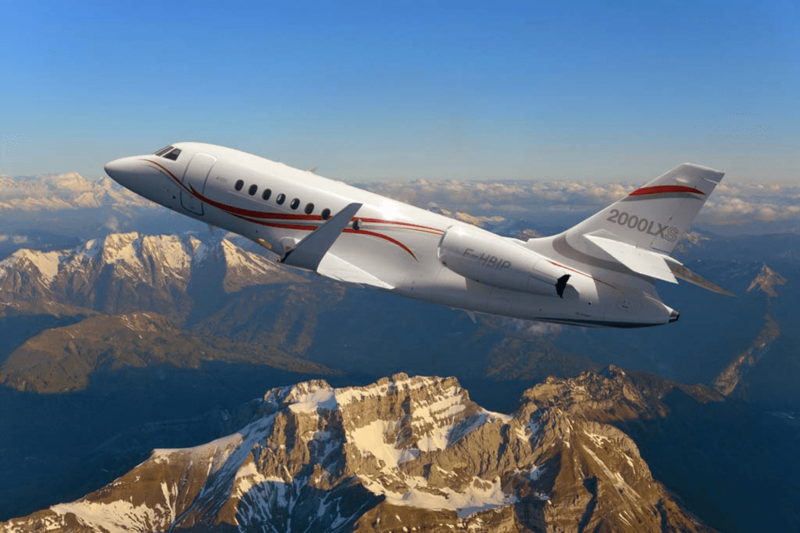 Operating well above other business jets in its category, the Falcon 2000LXS delivers nonstop connectivity from London to New York or Dubai. The 2000LXS is priced at about $33 million.